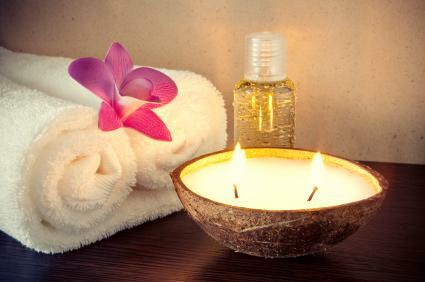 A spa vacation is an ideal way to revitalize, relax, and get away from the stress of work, family, and everyday life. You can choose a destination such as a luxury retreat, a desert oasis, or a spa attached to a large hotel. There are plenty of spa destinations that will cater to the single traveler and will match your personal needs. Whether you are looking for a weekend getaway or a week long retreat, there are many spa locations to fit your needs. The following spa destinations are great options for those who are traveling solo. The Omni Bedford Springs Resort & Spa is located in south central Pennsylvania at 2138 Business Route 220 in Bedford. It was opened in 1796 and has undergone a restoration and expansion that kept its original charm while adding modern features. It is designated as a National Historic Landmark. Treatments such as body wraps, sugar scrubs, facials, nail treatments and more. Bedford Springs also offers day spa services for individuals who are planning a day visit or who live in the area. 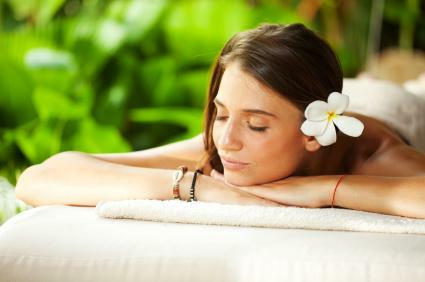 The spa is conveniently is located near local shops and cafes as well. For those in Southern Florida, the Acqualina Resort & Spa on the Beach is a great option. It is located at 17875 Collins Avenue in Miami Beach. The 20,000-square foot spa is designed with elements that represent and reflect the flow of water and the cleansing of the body and soul, providing an ideal setting for a solo spa retreat. In addition to the services offered at the spa, you will get spectacular views of the Atlantic Ocean that are sure to leave you feeling relaxed and refreshed. The Canyon Ranch SpaClub also has an onsite boutique and a café featuring a selection of healthy spa cuisine. In addition, Canyon Ranch health resorts have other locations in Tucson, Arizona and Lenox, Massachusetts as well. All locations offer all-inclusive, luxury wellness vacations that offer stress-free activities and a relaxing experience perfect for those looking for a chance to get away from everything and everyone. Silverado has its own signature treatment called Tui Na. This treatment is a form of massage that combines acupressure and stretching and is sure to relax tense muscles while calming the mind. While at the spa, take advantage of the local area's many wineries where you can sample some of Napa Valley's finest wines and take in the beautiful scenery. The Fairmont Sonoma Mission Inn & Spa is a great choice for those looking for a California retreat that is filled with plenty of options for solo spa travelers. The spa is at 100 Boyes Boulevard in the Sonoma wine country region. It is the one of the only luxury spa resorts in the United States with its own source of thermal mineral water. Signature Bathing Ritual consisting of an exfoliating shower, mineral soaks, herbal steam, dry sauna and cool down shower. Since the Spa is located just 15 minutes from Napa Valley, be sure to check out the many vineyards and wineries for tastings and scenery when you visit the area. The Mirror Lake Inn Resort Spa is located at 77 Mirror Lake Drive in Lake Placid, New York. This upstate New York spa offers a wide range of services and is the perfect place to enjoy relaxing moments alone. You can relax in lush sanctuaries with fireplaces, whirl pools and steam rooms and enjoy services such as Mirror Lake's signature Adirondack Maple Sugar Body Scrub that uses real maple sugar to exfoliate and moisturize your skin. In addition, guests can enjoy fitness walks, exercise classes and swims in the 60-foot indoor pool. Personal training sessions can also be scheduled. After all that activity, you can relax in the sauna or Jacuzzi. Enjoy views of the Cheyenne Mountains and Cheyenne Lake at The Broadmoor at Colorado Springs. This resort is located at 1 Lake Avenue in Colorado Springs. It is named a Five Star spa by Forbes Travel Guide and is the perfect place to enjoy relaxing time alone. All of the Broadmoor's treatments and services are designed to help you feel your best and leave feeling refreshed and rejuvenated at the end of your solo retreat. Guests can also enjoy the indoor pool, seasonal outdoor pool, tennis, golf and local shopping and dining in downtown Charlotte. The Spa at Parker Palm Springs is located on the outskirts of Palm Springs, California at 4200 East Palm Canyon Drive, about a 10 minute from downtown Palm Springs. The Spa at Parker Palm Springs is known for their attention to detail, commitment to customer satisfaction, and indulging their patrons with little perks such as an eye mask or a refreshing beverage. You'll leave feeling energized and refreshed after your getaway. A spa vacation for one can be easily booked directly with the spa or resort of your choice. Take into consideration the type of experience you are looking for and what specific features or treatments appeal to you. Researching the various options can help you find the right spa for you from the hundreds of choices worldwide.